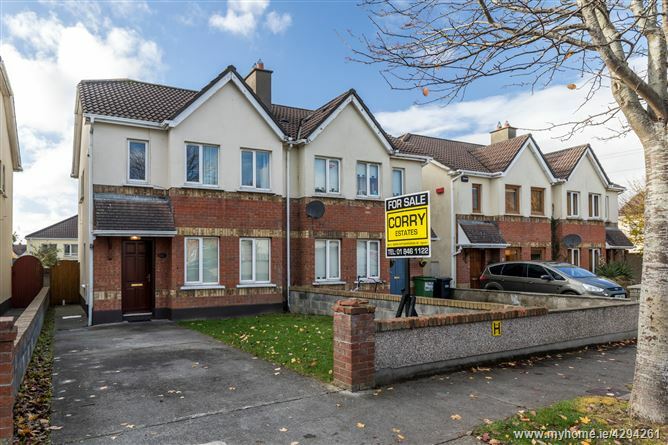 Corry Estates are delighted to bring to the market No. 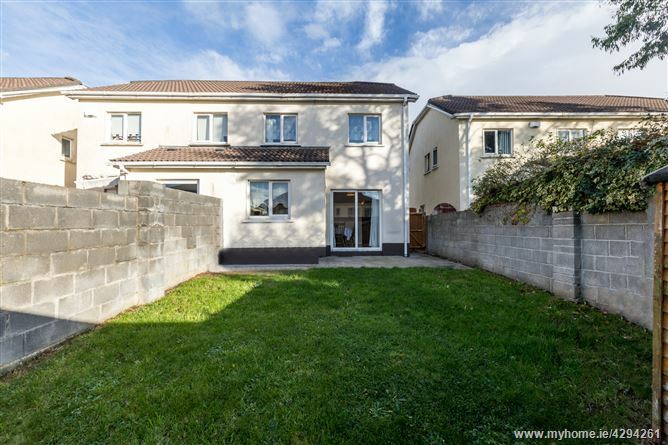 4 Warrenstown Row, a well presented 3 bedroom semi-detached family home ideally set within this mature tree lined development. 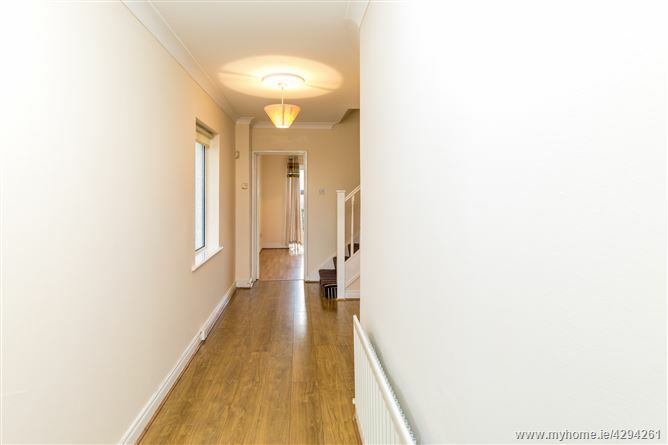 This bright and spacious home comprises of an entrance hall with double doors that lead to a large living room, an open plan L-shaped kitchen / dining area with access to the rear garden from the sliding doors. A utility area completes the ground floor accommodation. On first floor level there are 3 generous bedrooms with master bedroom en-suite and a family bathroom. 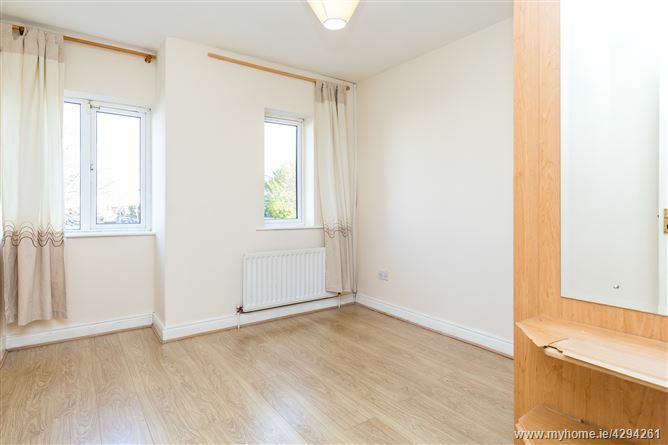 This fine family home also boasts PVC double glazed windows, gas fired radiator central heating and a westerly facing rear garden. 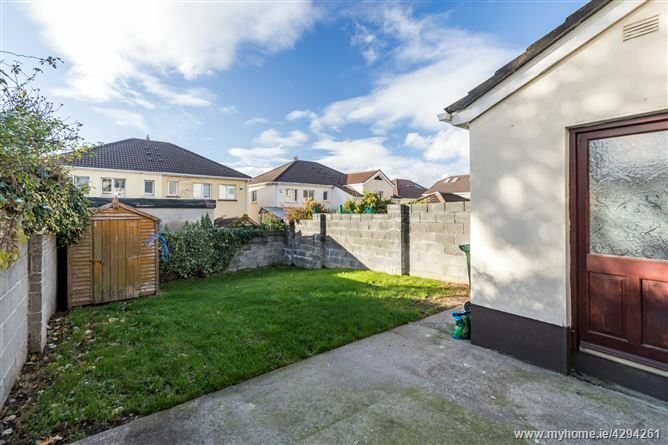 Perfectly positioned within close proximity of local shops, schools and commuter bus links while Blanchardstown shopping centre with a host of shops, cafes, restaurants and cinema is also close by. Viewing comes highly recommended to appreciate this fine home. 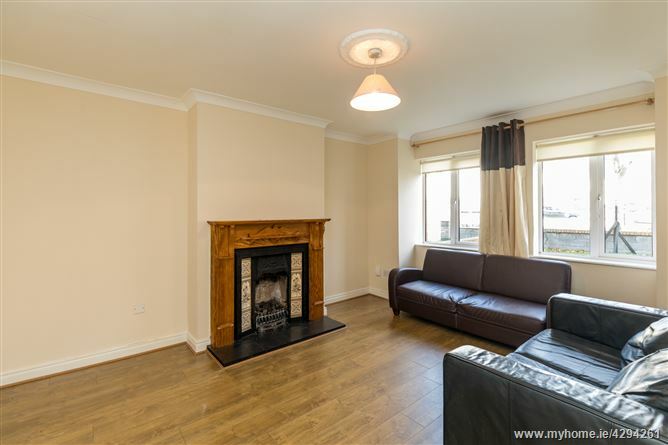 Lounge: 4.67m x 3.71m with feature cast iron fireplace with tiled inset & timber surround. Gas fire. Laminate flooring. Ceiling coving. 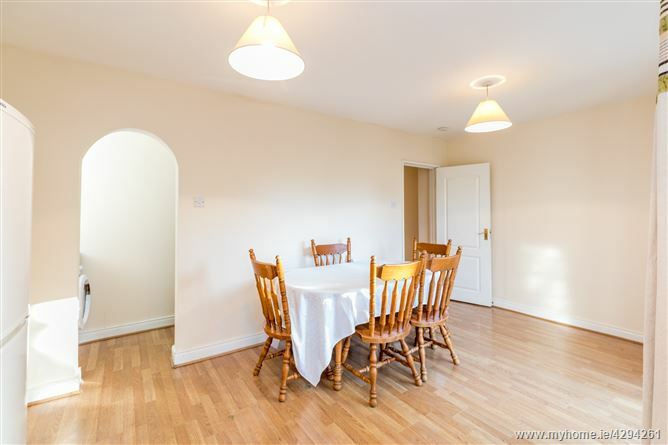 L-Shaped Kitchen/Dining area: 2.88m x 5.17m with laminate flooring. 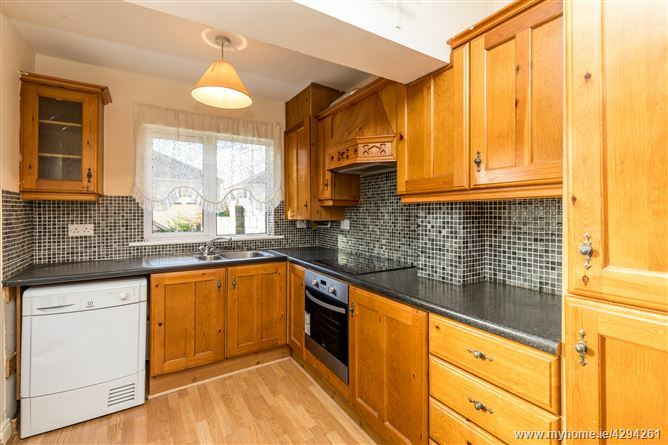 Kitchen area: 2.05m x 2.29m with range of oak fitted press units with tiling behind the worktops. Laminate flooring. 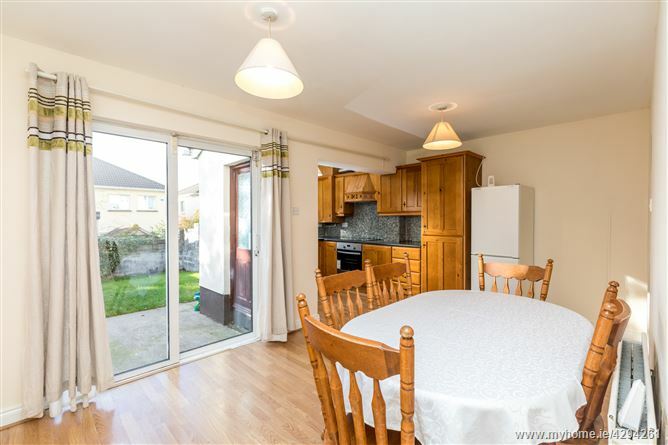 Sliding doors lead to a west facing rear garden. 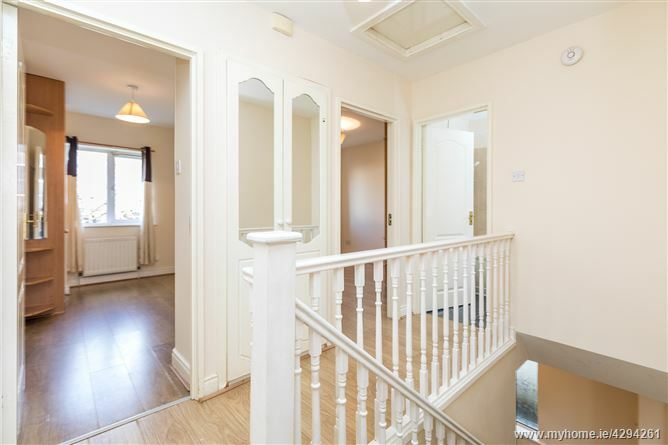 Landing: 1.91m x 3.27m with access to attic. 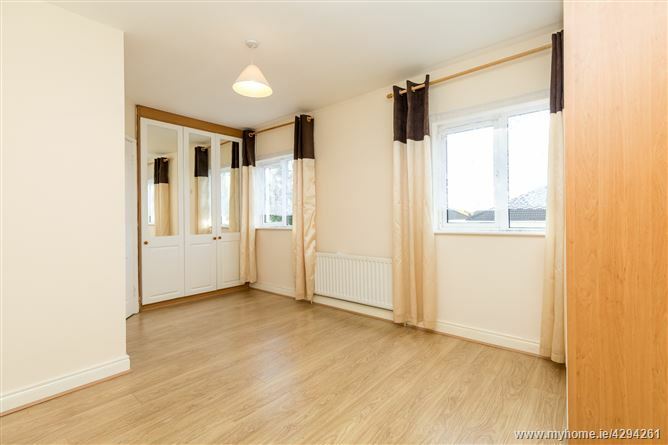 Bedroom 1: 2.92m x 5.16m with built in wardrobes & laminate flooring. 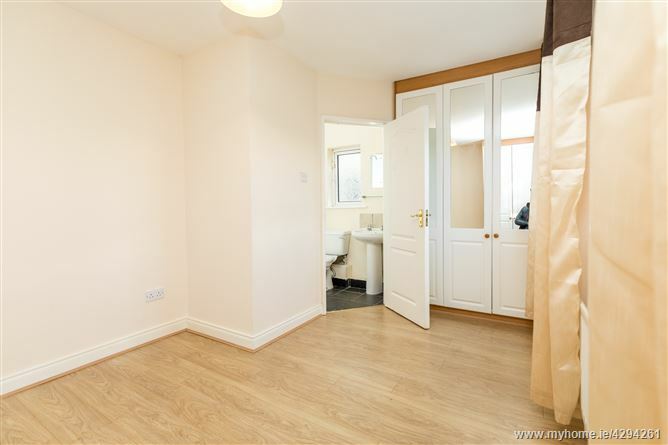 En-suite: comprising of shower, w.h.b. & w.c., tiled floor and part tiled walls. Bedroom 2: 3.32m x 2.98m with built in wardrobes and laminate flooring. 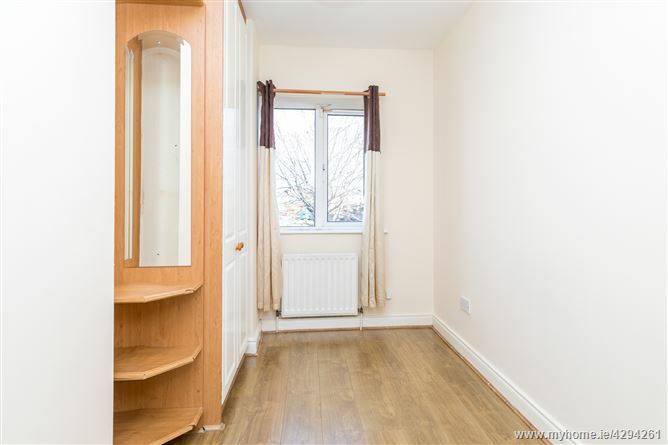 Bedroom 3: 3.75m x 2.08m with built in wardrobes and laminate flooring. 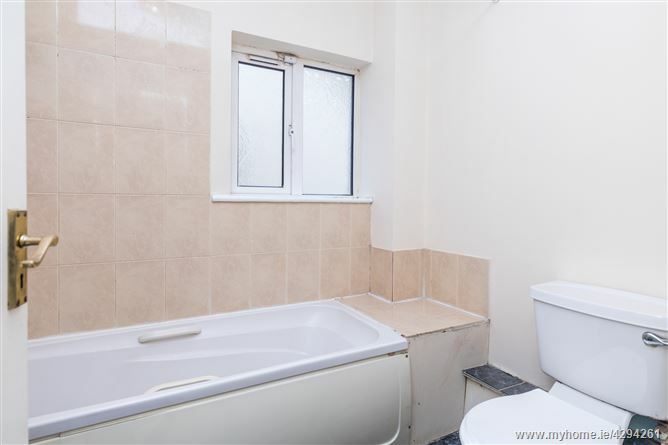 Bathroom: 2.19m x 1.80m Comprising bath with Triton Electric Shower, w.h.b., w.c., Fully tiled floor and part tiled walls. Inventory: To Include: carpets, blinds, light fittings, oven and hob. Walled gardens front and rear.